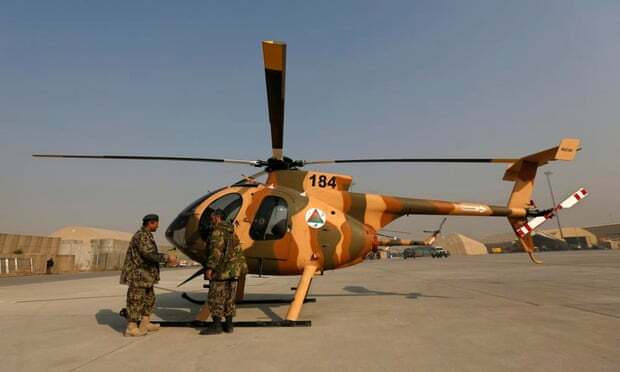 Trio of contractors killed and fourth wounded by an Afghan soldier at the military airport in the capital Kabul, an Afghan air force official has said. An Afghan soldier killed three US contractors and wounded a fourth on Thursday at Kabul’s military airport, an Afghan air force official said. A rise in so-called “insider attacks” in Afghanistan has eroded trust between Afghan and international troops in the final years of the combat mission that ended in 2014, prompting foreign forces to scale back interaction with their allies. Despite the introduction of new measures, including a requirement that coalition forces be armed at all times and stricter vetting procedures for Afghan security members, incidents continue to occur sporadically. One of the worst attacks took place last August, killing US Major General Harold Greene, who became the most senior American military official to die in action overseas since the war in Vietnam. The new international “Resolute Support” mission involving a small contingent of around 12,000 mostly US troops started on 1 January and is to focus on training Afghanistan’s national security force.